The Medicine Hat Tigers fell at home for the first time since returning from the holiday break in a 2-1 overtime loss to the Edmonton Oil Kings on Saturday. 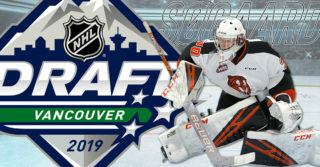 Tyler Preziuso was the lone goal scorer for the Tigers while rookie goaltender Mads Søgaard had his first start for the Tigers since returning from playing for Denmark at the World Juniors. Søgaard stopped 32 of 34 shots faced. 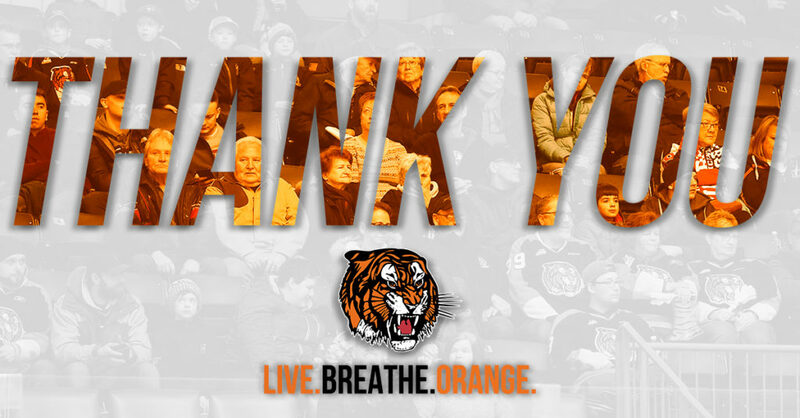 The Tigers are 23-16-2-2 and they are led by veteran forwards James Hamblin with 50 points (23G, 27A), Brett Kemp with 41 points (24G, 17A) and Ryan Jevne with 41 points (20G, 21A). 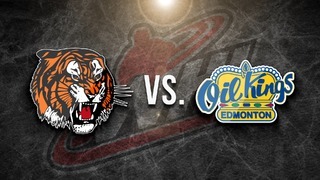 For the fourth time this season, the Tigers will face off with the Oil Kings. The Oil Kings have come out on top in all three previous meetings, including the recent 2-1 overtime win on Saturday. After tonight’s battle, these two Central Division rivals will meet two more times in Edmonton. Medicine Hat is 18-2-2-0 against Edmonton over the past five years and they will look to improve on their record tonight. The Edmonton Oil Kings played three games in three nights and won all three this past weekend. Friday, they paid a visit to the Enmax Centre and defeated the Lethbridge Hurricanes 5-1. 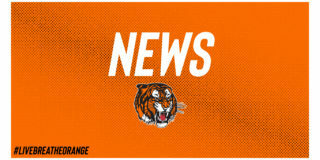 Saturday they played the Tigers in Medicine Hat and won 2-1 in overtime. Sunday they returned home to host the Hurricanes and turned them aside 4-1. 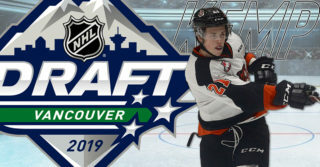 The Oil Kings are 24-14-4-3 and they are led by 2018 Columbus Blue Jacket draft pick Trey Fix-Wolansky with 75 points (25G, 50A) and veteran forward Vince Loschiavo with 39 points (21G, 18A). Tyler Preziuso has 9 points (4G, 5A) in the Tigers’ last 8 games. The 19-year-old Victoria native is a smart, tenacious forward with good hand to eye who is having a banner year for the Tigers already setting new career highs in assists and points. Preziuso is a smooth skater with an explosive first step who will look to make an impact in tonight’s tilt. Captain James Hamblin is a smart, speedy, two-way forward who leads the Tigers by example. The 19-year-old Edmonton product is a hard worker who competes every shift. Hamblin is traditionally a pass-first kind of player but he also has a great scoring touch and he is leading the Tigers with 50 points (23G, 27A) so far this season. Rookie blueliner Eric Van Impe scored his first career WHL goal against the Oil Kings on September 26th, 2018. Daniel Baker leads all Tigers rookies with 13 points (2G, 11A). Trevor Longo scored his first career WHL goal against the Oil Kings on November 10th, 2018. James Hamblin leads the Tigers in +/- with +19. Goaltender Mads Søgaard has been selected to play in the Sherwin-Williams CHL/NHL Top Prospect game Jan 23rd in Red Deer. Søgaard will suit up for Team Cherry and he is ranked as B prospects by NHL Central Scouting. Ryan Chyzowski and Brett Kemp are ranked as C prospects. Tigers Alumni Kelly Hrudey will coach Team Orr during the Sherwin-Williams CHL/NHL Top Prospect. Goaltender Mads Søgaard is ranked 4th in the league for GAA with 2.36 and 2nd in the league for save percentage with 0.931. The Real Canadian Superstore is a proud sponsor of the Western Hockey League (WHL). 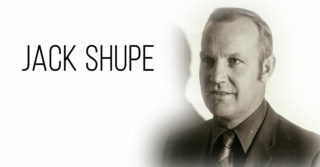 Visit Superstore.ca today to learn more. Bridges Family Programs is a non-profit organization that offers a variety of programs and services for families living in Medicine Hat, Bow Island, Brooks, Oyen and surrounding areas. They offer services to individuals who are expecting a child or have children under the age of 18. Some of the services provided are prenatal support, education on child and youth development, community connections, advocacy, FASD assessment and support, and service coordination.